Boa, also known as New Alcatraz, is a sci-fi thriller about a giant snake that wreaks havoc on a remote prison in Antarctica. The high-security prison, Facility Number One, houses some of the dangerous criminals in the world. What isn't known is that there is something terrifying deep beneath the facility. After a mining crew happens upon what seems to be a giant rock formation, naturally the decide to open to see what's inside. Bad idea. 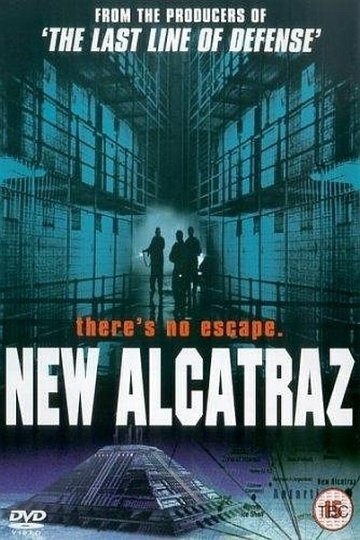 The inhabitants of New Alcatraz get the surprise of their lives when out of the formation comes a giant, prehistoric 100-foot Boa - and a hungry one to boot. The animal wastes no time making short work of the prisoners, staff and anyone else unlucky enough to get in its way. Dean Cain of Lois and Clark, leads the no-star cast, as one of the paleontologists brought in to kill the giant predator. Naturally, a scheming scientists doesn't want the creature killed and pulls out all the stops to keep it alive. Now the inhabitants are forced into a life or death battle with the giant snake so that they don't become a hot meal. Boa is currently available to watch and stream, buy on demand at Amazon online.